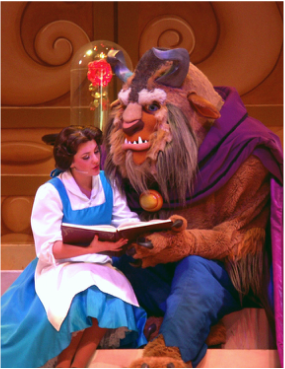 ​Joanna Bertalan was a Walt Disney World employee for over seven years in Orlando, Florida where she sang and danced as Princess Belle and Cinderella in their main productions. Being a native of Pennsylvania, she is currently back performing in the northeast and teaching students of all ages. She began voice lessons at the age of twelve and was chosen the Outstanding Music Student of her high school class. She earned a degree in music with a focus in Vocal Performance from Kutztown University. Her additional musical training has come from Broadway workshops and private lessons in NYC, Los Angeles, London and Philadelphia. Professional Singing Princess is a one of a kind experience that has live singing with only instrumental accompaniment! Not to mention elaborate machine sewn gowns which are altered by Miss Joanna, herself! Joanna is also a one "man" band so you will have the comfort of knowing exactly who you are getting and what you are getting! Singing for others brings her such happiness and fulfillment. "It is truly a blessing to experience this kind of energy with children through stories and it's positively magical to witness how much they truly believe..."
"Adults are only kids grown up, anyway..."